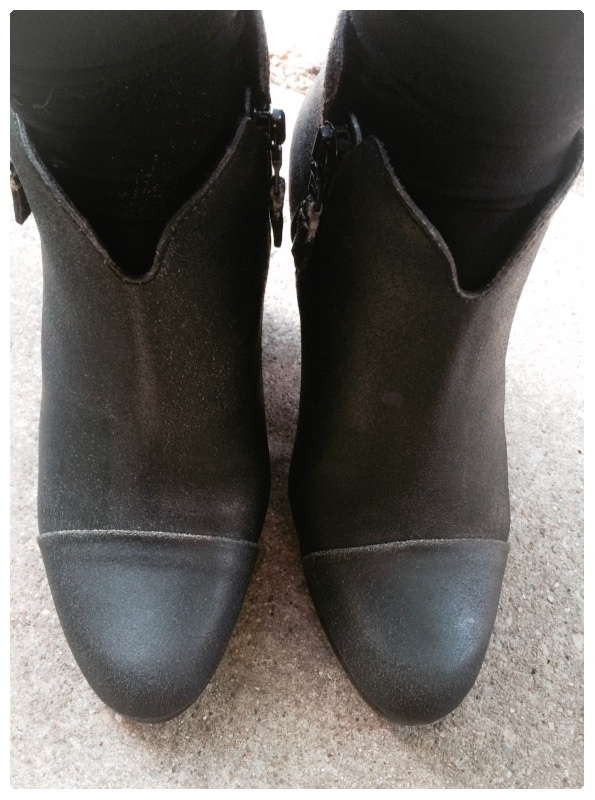 July | 2015 | Footwear Fashionista … a sneak peek into my shoe closet! 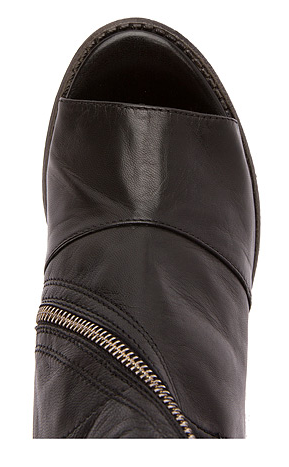 There is just something stylish about a zipper. 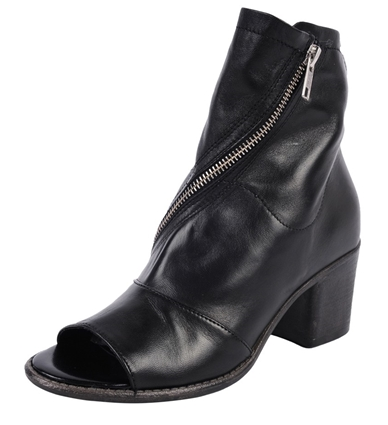 “Fantasia” by Summit White Mountain takes a bold approach to the zipper and delivers a casual-cool style in this peep toe bootie. 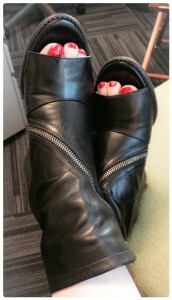 The supple black leather hugs your foot. The crossover zipper provides easy on/off access, so it’s not only functional but also modernly stylish. 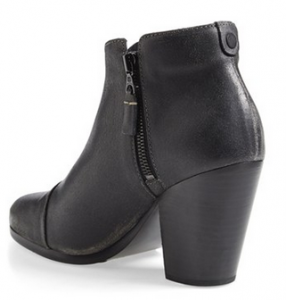 The stacked, chunky 2.5″ heel is the perfect height. Seriously, what is there not to love about this shoe? Walk in style! Pulled these out of the archives, circa 2005. Natural leather and linen. The perfect combination for a neutral sandal. 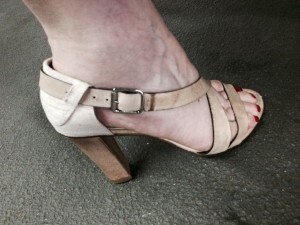 Flesh toned 3.5″ leather heel and criss-cross straps combine with a off white linen upper heel. 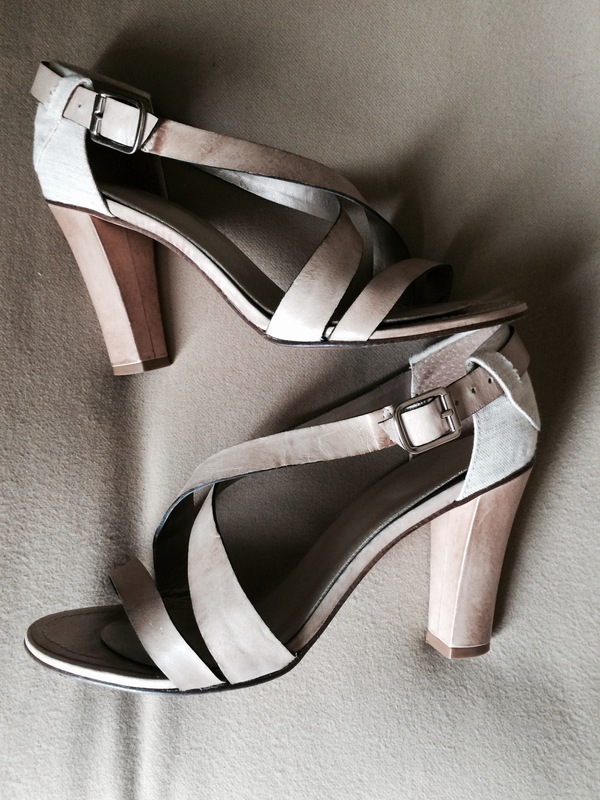 The go with anything heel by Vincenza footwear. Simple styling, simply stylish. The “Seldon” from Rag & Bone is an absolutely effortless summer sandal. 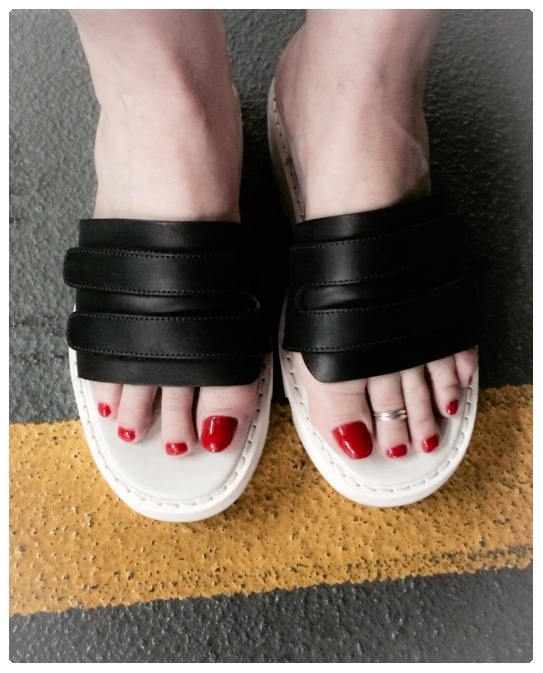 Minimalist, modern and cool, these black leather slides have an adjustable velcro strap and a chunky white rubber 1.5″ platform. Transform your summer kicks. Who needs flip flops when you have two toned slides! Add a little fun to your wardrobe….walk in comfort and in style. 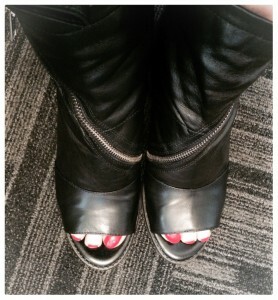 The unseasonable “Seattle-like” weather in Chicago has hampered me from wearing sandals or opened-toed shoes. 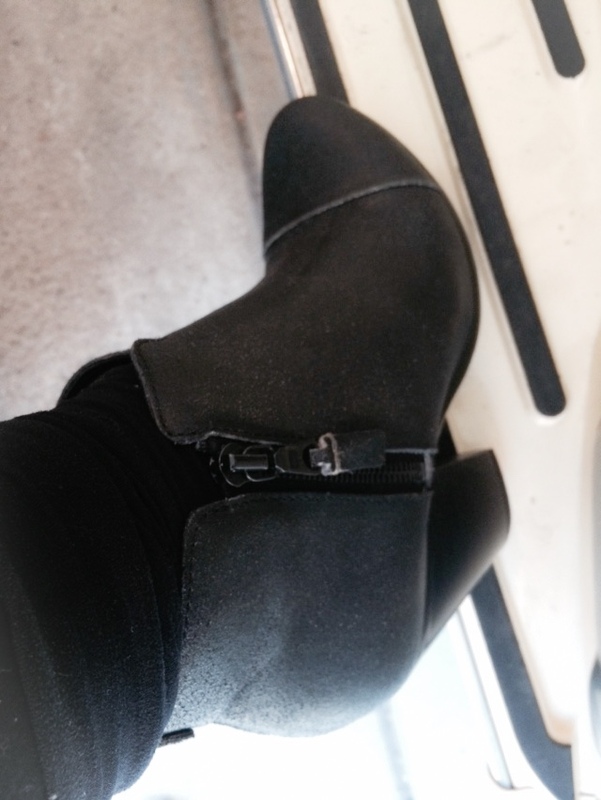 I purchased the Rag & Bone “Margot” bootie at Nordstrom’s Anniversary sale. 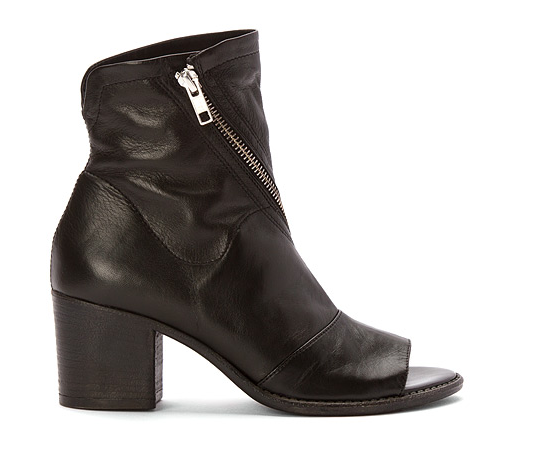 Although I do technically have another Margot bootie in suede, the distressed leather and sleek dual zippers stopped me in my tracks. 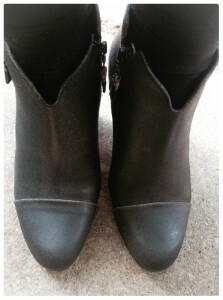 Rag & Bone boots are ridiculously comfortable, although their sizes do vary based on styles from year to year. This style typically runs a 1/2 size small, for this pair I actually sized up a full size! I admit at first I purchased a 1/2 size larger but after walking all day and trying them on again n the evening, it was clear that snug is not good, a full size up fixed that. 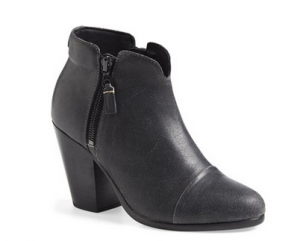 Rounded toe,stylish working zippers on both sides, 3.25″ squared chunky heel. Rag & Bone boots rarely go on sale, so get them while you can and see why their edgy, understated boots have become a cult following.